Bertrand Piccard, the Swiss mastermind behind Solar Impulse, has harnessed his pioneering spirit and thirst for exploration for a global cause: the quality of life for future generations. Fuel-free perpetual flight in a solar aircraft represents more than just a technological feat – it is a symbol of what each and every one of us can achieve if we challenge ourselves and believe in the impossible. While Apollo 11 was taking off for the Moon, Piccard junior was rubbing shoulders with astronauts, physicists, scholars and explorers, devouring every word they said. Dreams and reality merged, the line between them becoming blurred. 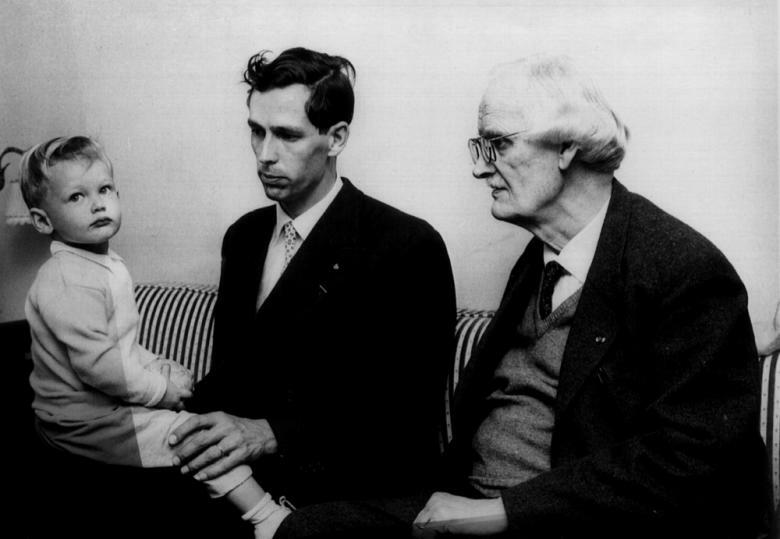 From then on, Piccard wanted to emulate his father and grandfather in applying his imagination to environmental and humanist causes. In Bertrand Piccard’s view, exploration begins in the mind. What he refers to as ‘pioneering spirit’ involves "going beyond the obvious, entering the unknown and calling conventional wisdom into question". As a professional psychiatrist and an expert in hypnotherapy, Piccard is, in the course of his adventures, able to drop the ballast, rise above it all and surpass himself by turning his doubts into fuel, both literally and figuratively. 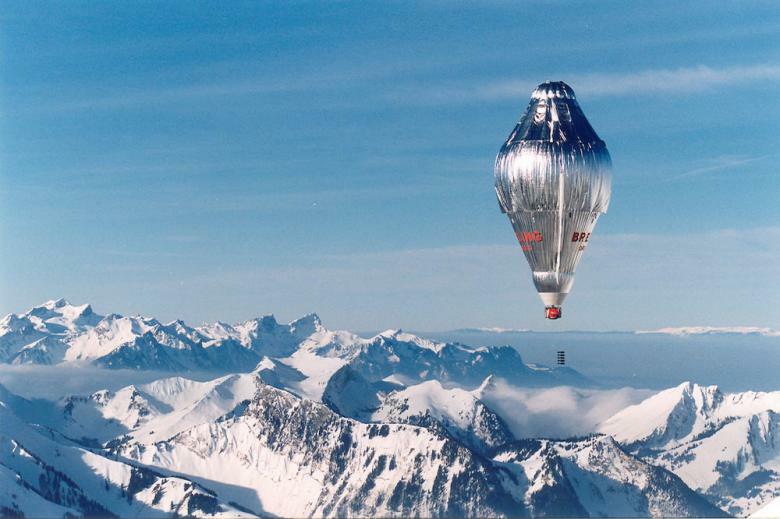 In 1999, Piccard and the English balloonist Brian Jones became the first travelers to circumnavigate the world non-stop in a balloon – a mission that relied on both wind and propane. In light of society’s dependence on fossil energy sources, the vision of a solar aircraft flying day and night without a drop of fuel seemed an obvious next step to Piccard. “If everyone says you can do it, then you’re not dreaming big enough.” Certainly, no one believed Bertrand Piccard when he began to talk about turning his dream of solar-powered perpetual flight into reality. Or barely anyone, that is, apart from the Swiss Federal Institute of Technology in Lausanne (EPFL). The EPFL came round to the idea fairly quickly, conducting a feasibility study in the process. 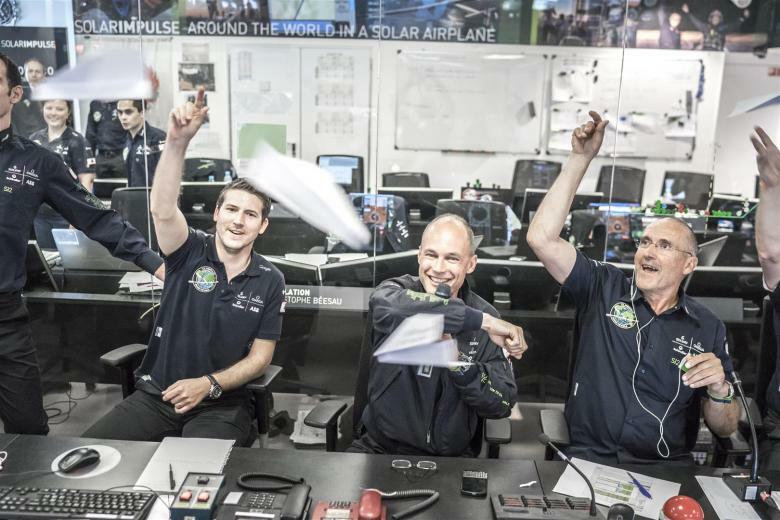 Piccard’s meeting with André Borschberg also played a key role. While Borschberg headed the technical team, Piccard managed to rally the support of major companies whose role was to develop the necessary innovative technology and fund the project. Notably, most of these businesses had no experience in aeronautics. Backing from the Swiss Confederation (e.g. the Swiss Armed Forces, the Swiss Federal Office of Energy and the Federal Department of Foreign Affairs), input from the numerous brilliant minds that were involved in building the aircraft, and the unexpected synergies that arose from working on the project over a number of years were all factors in making the impossible possible. There are not many other countries in which two committed, if slightly mad enthusiasts can call on such a diverse range of expertise. Consequently, Solar Impulse is a whole lot more than just an aircraft – thanks to a strong team, partners from a wide range of disciplines, Switzerland’s innovation-friendly environment, a clear vision and a healthy dose of imagination, it is a symbol of what you can achieve if you believe in the impossible. This is because, in Bertrand Piccard’s words: “Adventure in the 21st century consists of applying human creativity and the pioneering spirit to develop a quality of life that future generations have a right to expect.” It is no longer about traveling to space, nor is it about breaking records. As such, Solar Impulse is a Swiss first – not only in the history of aviation, but in energy history too. “The aim is not to fly as far as possible using solar power, but to encourage as many people as possible to deploy solutions for energy efficiency in their everyday lives,” he adds. How we apply these solutions is up to us – because, according to Piccard, our innate potential and passion as human beings are what constitute our most powerful renewable energy source. Exploration does truly begin in the mind. It allows us to take a step back and change our habits for the greater good.